The Sant Pau Art Nouveau Site by the architect Domènech i Montaner housed a hospital until 2009: the Hospital de la Santa Creu i de Sant Pau. 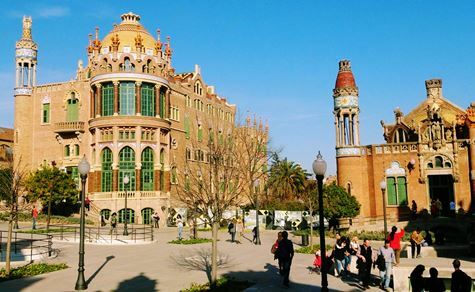 The hospital is still operating in a new facility located next to the Sant Pau Art Nouveau Site and worked several centuries before it was built. 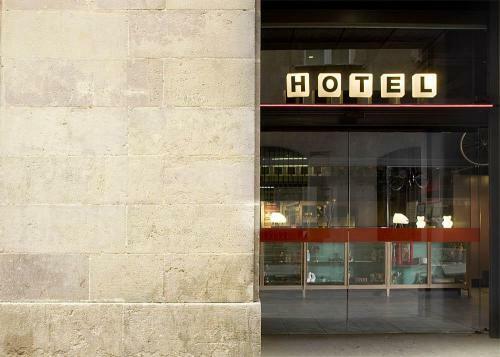 The origin of the Santa Creu i de Sant Pau Hospital dates back to 1401 and was located in a Gothic building in the El Raval quarter. Due to the advances of medicine and the demographic increase it was necessary to build a new hospital. In 1902, the first stone of what would be the new hospital in its new location was laid and in 1930 the new hospital began to function. The Modernist Site of Sant Pau was finished. Unesco world heritage since 1997, built in the purest Art Nouveau is an enclosure with interior streets and numerous brick pavilions. The pavilions surrounded by gardens and connected by underground passageways, is a paragon of beauty, which include sculptures, stained glass, mosaics and all kinds of applied arts. It is the world's largest modernist set and is today the headquarters of related institutions in the areas of sustainability, health and education. The main entrance of the Modernist Site of Sant Pau is oriented forty-five degrees to the Eixample looking towards the Sagrada Familia. It is believed that the reason is that Domènech i Montaner wanted to take advantage of the sea wind to ventilate the hospital and protect it from diseases, but it is also believed that his intention was to break with the grid structure of the Eixample district, which apparently he did not like it.